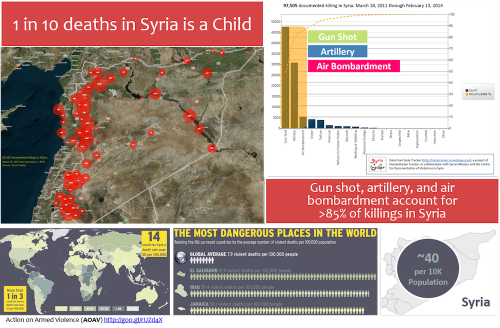 Here again we see the top 3 causes of killing, it started with gunshots then escalated the past two years to include artillery and air bombardment. 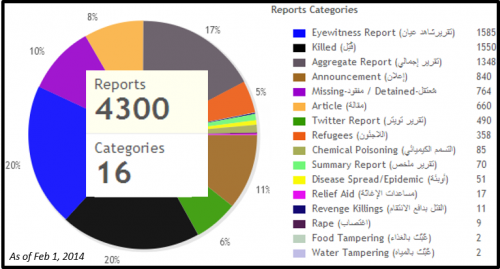 While women have been “caught in the cross-fire” so to speak, it is evident that the proportion of female casualties is steadily rising indicating that it’s more than a “collateral damage”. 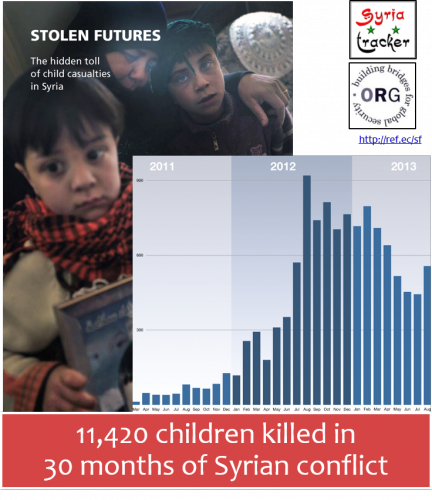 In fact, a significant amount of these casualties are a result of indiscriminant killing through sniper fire, or direct targeting through sniper fire, beating and stabbing, or torture along with an increasing trend. Most stabbing victims have been killed in massacres. 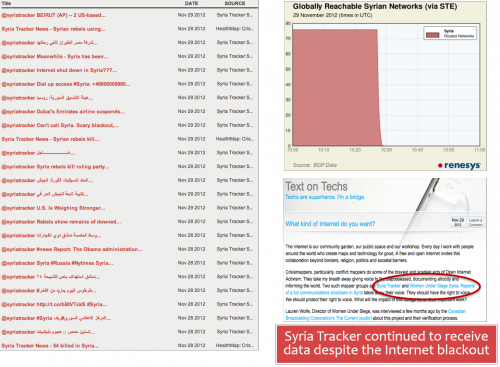 Female casualties are occurring in the most part of Syria but the data also shows hot spots. Take for example Jebel Saman, Aleppo: >20% of all female casualties recorded, occurred in Jebel Saman, Aleppo; consequently it is also the location of over 24% of all sniper related female deaths. 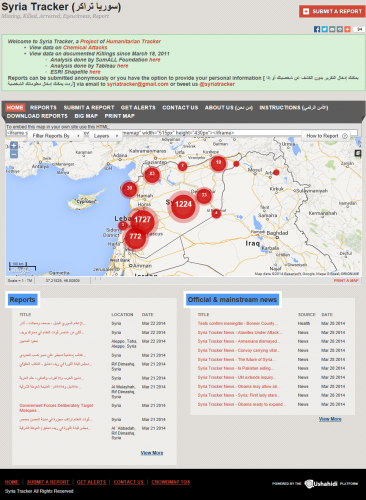 Another example is Homs: >22% of stabbing-related killings happened there. 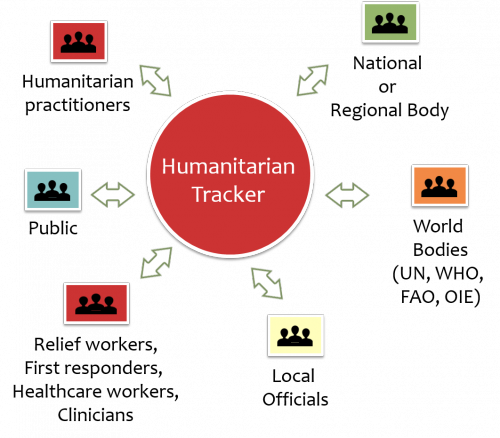 Humanitarian Tracker is a worldwide trusted resource. 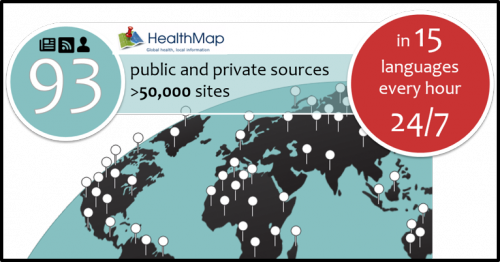 Over the past years, we’ve built a network of partners and consumers of our data and services. 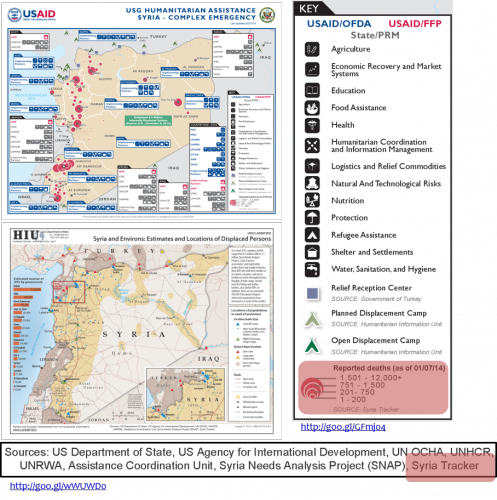 This is crucial for the future, as we’re launching a global platform and specifically addressing development (not just relief) needs in Syria and beyond. 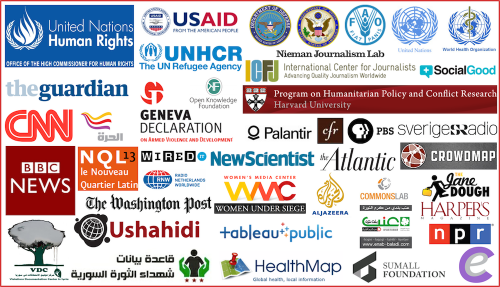 In particular, we want to acknowledge our great partnership with Ushahidi and the community support that enabled us to sustain crowdsourcing information out of Syria. 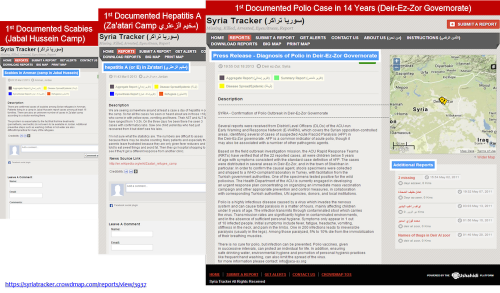 Syria Tracker is one example of how you can combine citizen and digital diplomacy for social good. 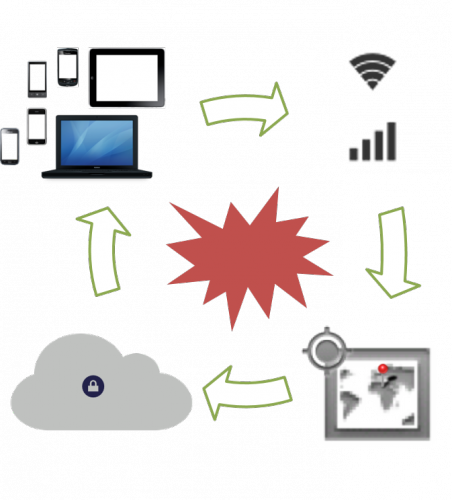 You can use the platform, resources and tools to track other events, and we have been assisting with many others worldwide. 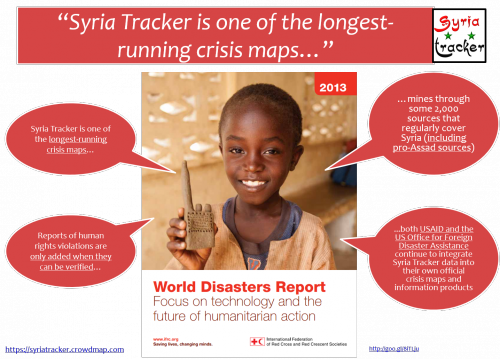 Finally, we want to recognize the team behind Humanitarian Tracker. 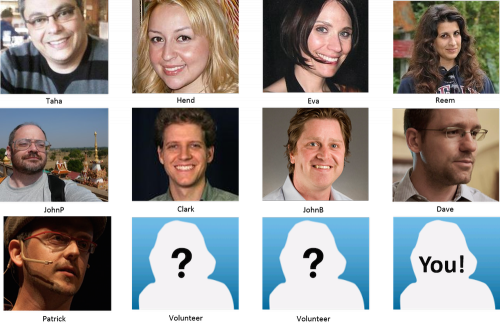 A team of social and data scientists, and yes we have a psychologist on the team! We’d love to hear your thoughts, feedback or possible collaboration. Thank YOU!